When the clothing geniuses at Taylor Stitch tackle an apparel "problem," they don't just solve it, they completely reinvent the thing in the process. 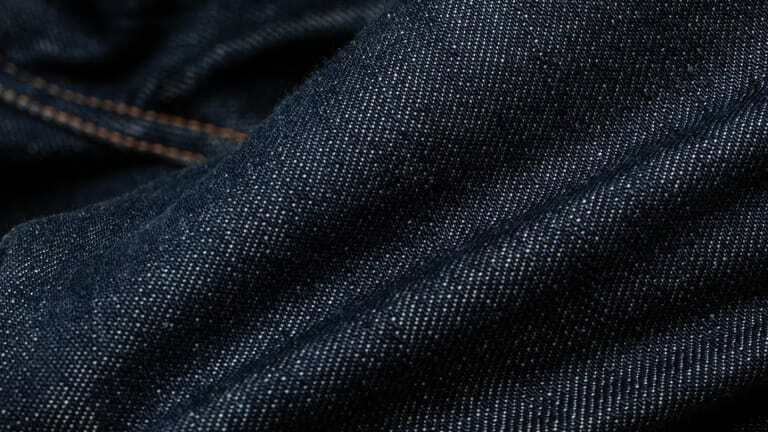 So it was with selvage denim, formerly too stiff, too heavy, too expensive and too wasteful of precious resources. 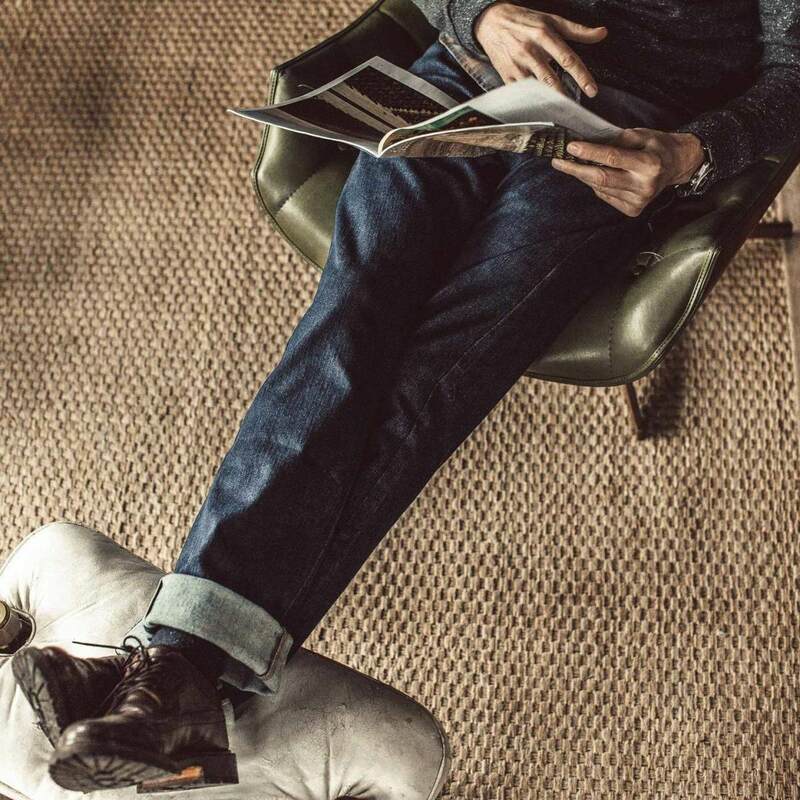 Hence they created the world's first organic cotton selvage jeans, and we would have been sufficiently impressed if they'd just stopped there. No dice, of course, as they subsequently came out with a lightweight linen-blended version, also a world first. 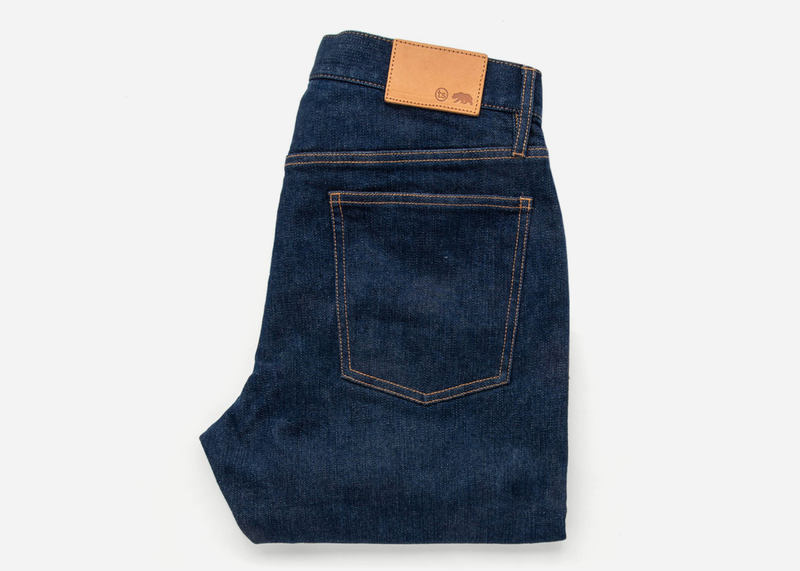 And now for another custom-developed showstopper: organic stretch selvage, possibly the best one yet. 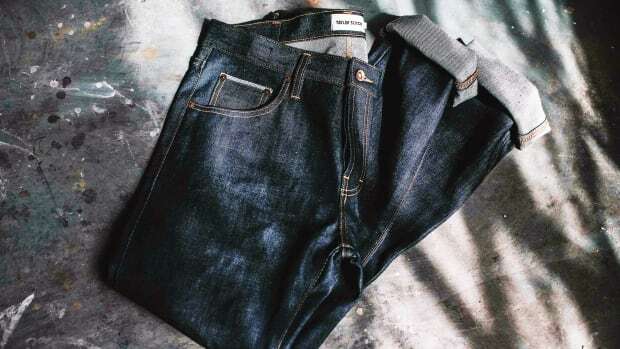 "As far as we’re concerned, few things are more rewarding than breaking in a pair of raw, rugged denim jeans," the S.F.-based artisans note. "All the same, even we can admit that sometimes it’s nice to have a more forgiving option on hand." 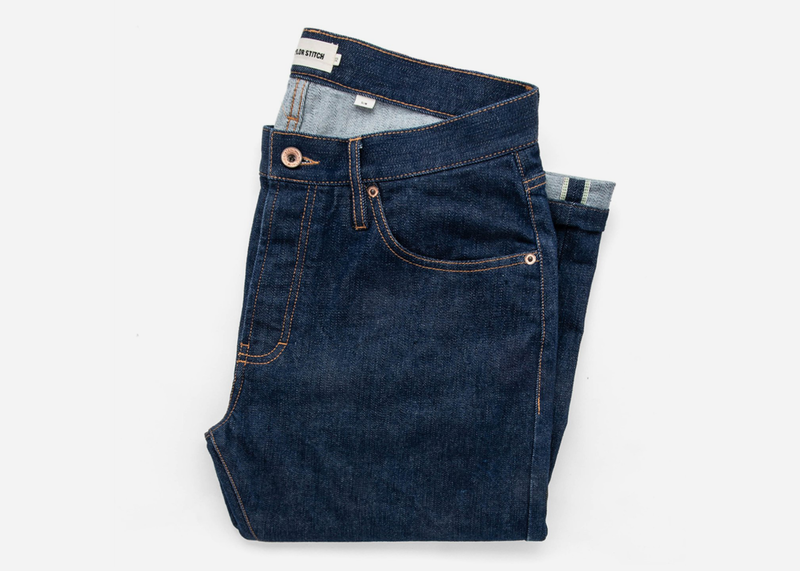 Looking just as damned handsome as their other denim offerings, these blues have just a touch of stretch for added mobility and comfort. "You’ll barely feel it," they note, "but you’ll be glad when you do." 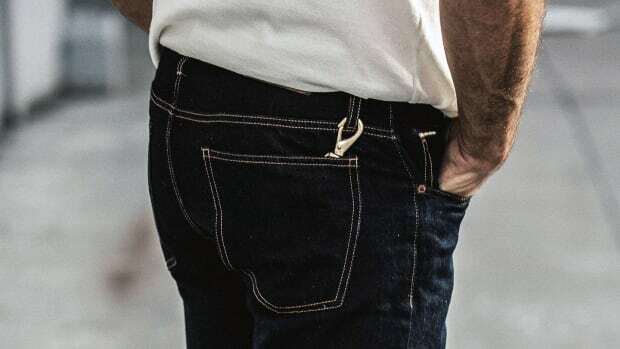 They're woven in a bit lighter weight, which "works in tandem with the stretch to make these the perfect everyday jeans no matter what activity the day may have in store." Available in both T.S. 's signature Slim Fit (our favorite) and slightly roomier Democratic Fit in a dark rinse with a slubby texture, you'll want to get in on the pre-funding ground floor asap to score at a discount.